You are currently browsing the tag archive for the ‘3 Chicks Cast’ tag. 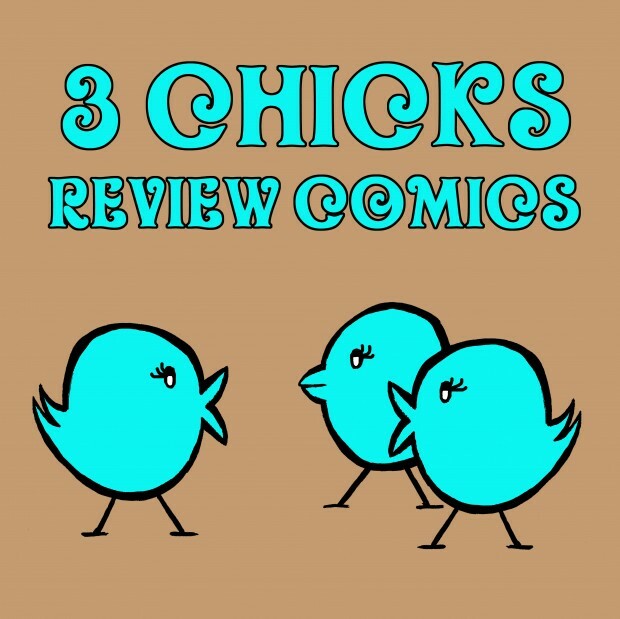 3 Chicks Review Comics – Episode 035! A new 3 Chicks Review Comics is up on CSBG. 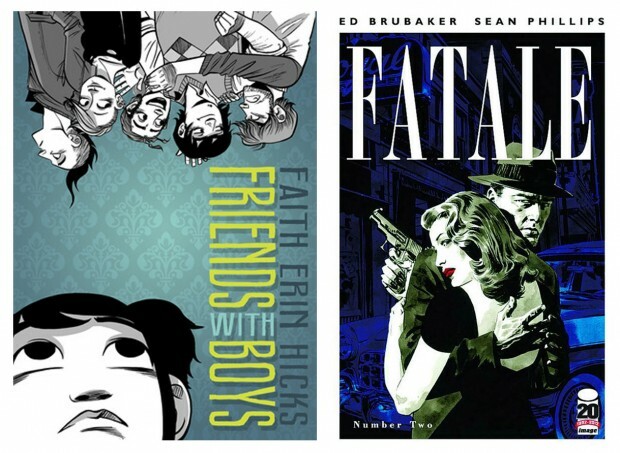 Inside this episode we review Faith Erin Hicks’ Friends With Boys, Ed Brubaker and Sean Phillips’ Fatale #2. Ross Campbell joins us to talk about Glory and his creator owned work Wet Moon and Shadoweyes – among other things. 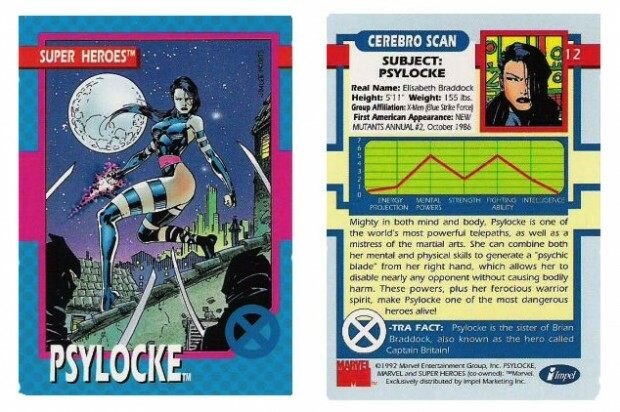 Chick of the week is a lady who has impressed me to no end with only 5 issues under her belt! 3 Chicks Review Comics – Episode 034! 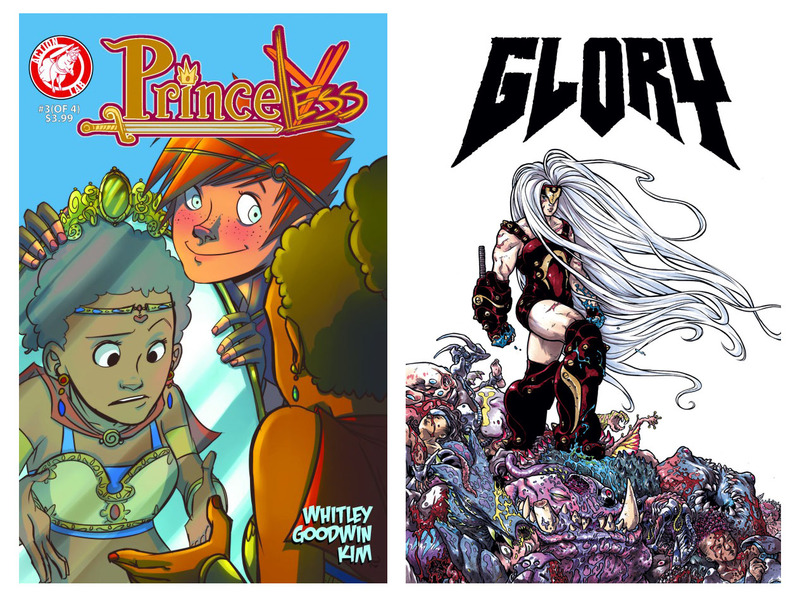 And inside this episode we review Jeremy Whitley and M. Goodwin’s Princeless #3, and an Advance Review of Joe Keatinge and Ross Campbell’s Glory #23. We also talk about the hotly contested Wonder Woman #8 cover, which is stirring up a surprising amount of controversy. We then have an interview with the wonderfully charming and incredibly talented Duane Swierczynski, who’s writing one of our favorite DC books – Birds of Prey! Lastly, we give Chick of the Week to the late Kim Yale, and discuss Sue’s efforts to revive the Kim Yale Award which sadly became defunct with the dissolving of Friends of Lulu last year. So head on over to CSBG and check it out. You can also subscribe via iTunes at the link on CSBG! Click here to listen to 3 Chicks Review Comics latest episode! A new episode of 3 Chicks Review Comics is up on CSBG. Head on over now! Sue and I are joined this week by writer and editor extraordinaire Corrina Lawson to review some comics and talk about hot topics and a brand new Chick of the Week! It’s a new episode of 3 Chicks Review Comics! 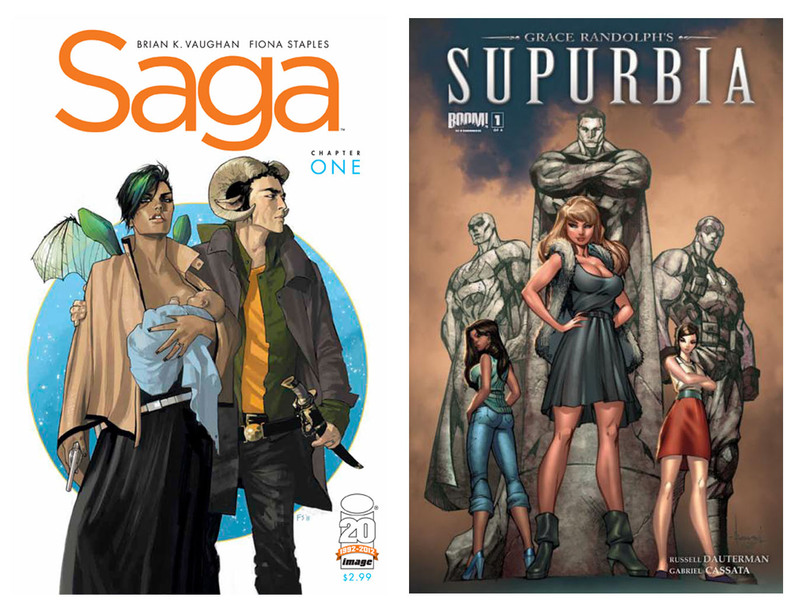 We talk about two great new books out this week – both #1’s, Women of Wonder Day, and special guest star comics writer Kelly Sue DeConnick joins us for our Hot Topic section. Head on over to CSBG to read more and for a link to the episode! A new 3 Chicks Review Comics is up on CSBG! That’s right kids, we’re back for another episode, and with a special guest star to boot! Head on over and check it out if you haven’t already. A new 3 Chicks Review Comics is up on Comics Should Be Good. Check it out now! A new 3 Chicks Review Comics is up on Comics Should Be Good. Though Maddy is absent this episode we have a very special guest star – from one of the absolute best books of the new DCU stopping by to chat, so check it out! Aka “The Time Travel Cast”! Head on over to CSBG to read the synopsis and get the link to the latest episode. 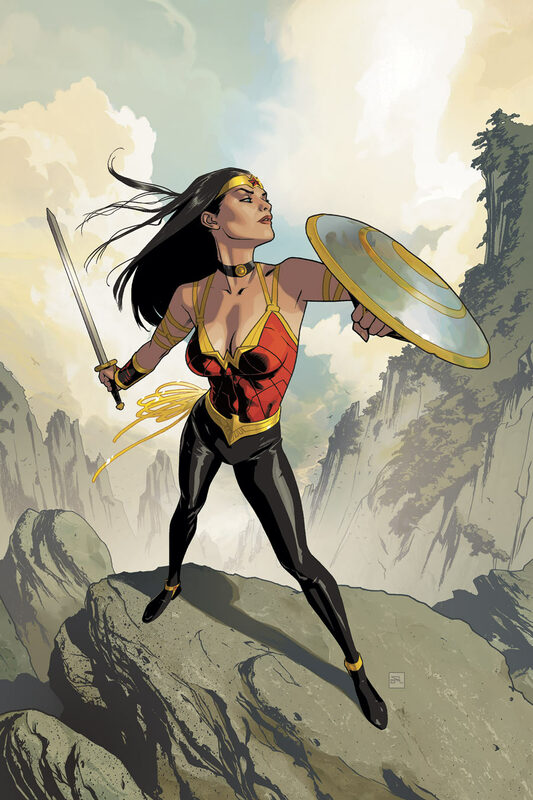 “Finally, we come to the end of this unsatisfying “Odyssey” arc for “Wonder Woman.” It’s hard not to breathe a sigh of relief and look with hope toward Cliff Chiang and Brian Azzarello’s take on Diana next month. Read the rest of my CBR Review of Wonder Woman #614 here. As always likes and retweets are appreciated and you can read all of my CBR Reviews thus far here. Head on over to CSBG for a write up and link to the latest episode of 3 Chicks Review Comics, with amazing guest star Scott Snyder! A new 3 Chicks, packed with special guest stars is up on CSBG. Head on over to CSBG for the write up and link to the episode. A new episode of 3 Chicks Review Comics is up! In this episode we review three recent comics, talk about the news coming out of SDCC, and pick a long time coming Chick of the Week! Click here to get a full write up and a link to the episode. Don’t forget to subscribe via iTunes so you never miss an episode!